Rotman School of Management, ICD.D. Michael is a corporate commercial lawyer with a focus on mergers and acquisitions, and corporate commercial matters in the health and cannabis industries. Michael is Chair of Osler’s Health Industry Group and Co-Chair of the Cannabis Group. He advises clients in respect of a wide spectrum of matters, including purchase and sale transactions, healthcare corporate restructuring and integrations, corporate governance, shareholder agreements, commercial agreements, digital health regulatory opinions and structuring solutions, privacy and data security, clinical trials, public and private healthcare industry regulatory compliance and business structuring advice. 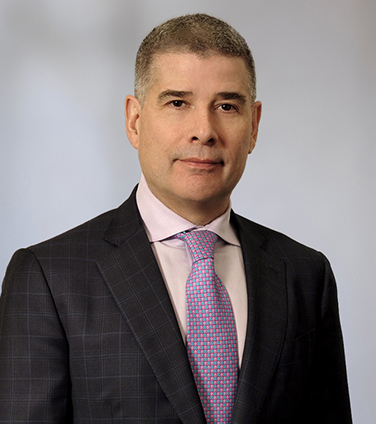 Michael also has extensive experience in providing complex regulatory opinions that ensure statutory compliance with federal and provincial health and cannabis statutes. Retained by numerous clients in respect of acquisition and sale transactions relating to regulated businesses including cannabis, hospitals, long-term care facilities, licensed independent healthcare facilities, laboratories, pharmacies and private clinics. Providing complex regulatory opinions relating to the Canada Health Act, health insurance acts, and providers’ ability to oﬀer health insurance and/or charge for enhanced non-insured medically required physician services. Advising on health-related grant/funding agreements, including the Government of Canada’s Federal Economic Development Agency for Southern Ontario and corresponding agreements to recipients to conduct research for clinical trials. Retained by numerous clients to develop governance policies to assist boards in discharging their governance oversight and in particular the implementation of enterprise risk management systems to oversee ﬁscal, client, resident and workplace safety. Retained by eleven diﬀerent provincially appointed Supervisors to assist them in addressing legal and governance issues relating to their mandates. Advising hospital boards, administrative and physician leaders in respect of hospital privileges matters. Retained by international healthcare organizations to provide regulatory advice in respect of planned Canadian health industry acquisitions and operations. Advising a client in establishing digital health care solutions. Advising clients on regulatory, privacy and data security compliance. Providing advice to clients in respect of complying with best practices with respect to procurement policies. Facilitating and implementing public healthcare restructurings, including hospital amalgamations and program transfers. Conducted governance reviews of healthcare organizations. Assisting international clients in acquiring Canadian assets and doing business in Canada. Advising licensed producers in respect of the cannabis regulatory landscape in Canada and all provinces and territories across Canada, including in respect of licensing matters and ongoing compliance with statutory requirements, such as restrictions on promotion and advertising. Advising on cannabis supply and distribution agreements, including supply agreements between LPs in Canada and international joint venture arrangements which include import/export considerations, such as an agreement to develop, cultivate manufacture and export cannabis-based medicinal and consumer products for the Latin American and global markets. Advising clients in respect of retail supply, services agreements and licensing agreements in highly regulated industries such as cannabis, pharmacy and pharmaceuticals. Provided numerous regulatory opinions relating to compliance with the Cannabis Act and related provincial cannabis statues. Advising service and equipment suppliers to cannabis licensed producers. Speaker, "Agents of Change for Renewed Canadian Healthcare:The Role of Business in The Canadian System," Queen's Health Policy Change, Toronto, May 2015. Debunking the Myths: A Broader Perspective of the Canada Health Act, Macdonald-Laurier Institute, September 2013. Bill 168 Requires Hospital Workplace Violence and Harassment Policies, Osler Update, April 22, 2009. Mounting Health Care Costs Drive Outsourcing Initiatives, Osler Outlook, Fall 2008. Hospital Service Accountability Agreements: Recommendations for the Negotiating Process, Osler Update, March 24, 2008. The DuPont Inquest: Hospital Obligations to Protect Patient and Workplace Safety, Osler Update, February 5, 2008. $3 Million Damages Awarded to Physician in Privileges Dispute, Osler Update, September 2007.